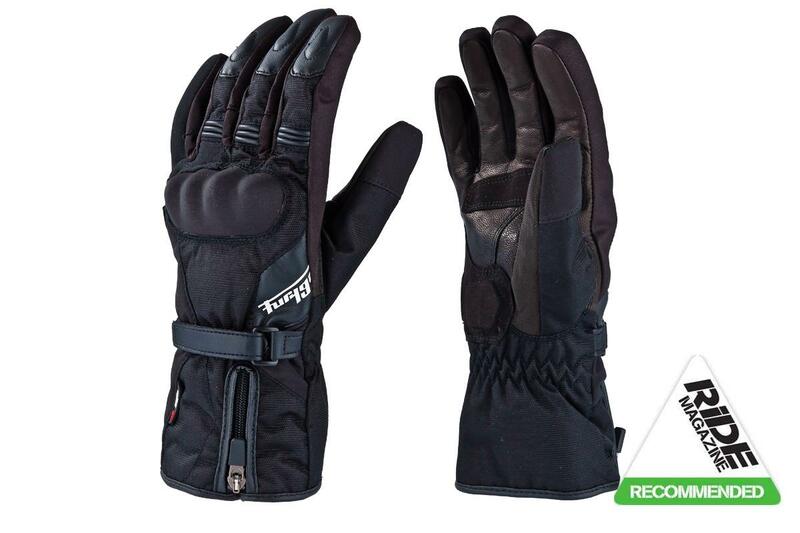 This CE-approved textile glove has a hard knuckle protector, with a wrist strap to secure it and a zip to adjust the fit of the cuff. It’s comfy and feel is good. It’s waterproof and has a plush liner, but the road tester felt it could be warmer for winter.